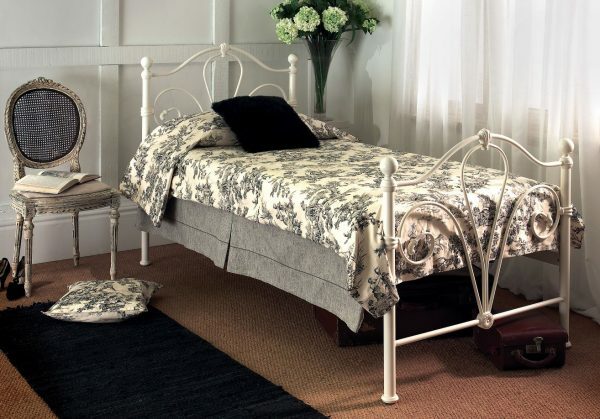 â€¢Victorian design frame in Ivory gloss finish. â€¢Sprung slat base to give extra comfort. â€¢Optional Lunar guest bed is available with the bed. â€¢Available in 3ft (90cm), 4ft (120cm), 4ft 6in (140cm) and 5ft (155cm).